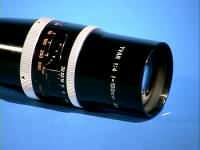 Long 150mm C Mount Lens! 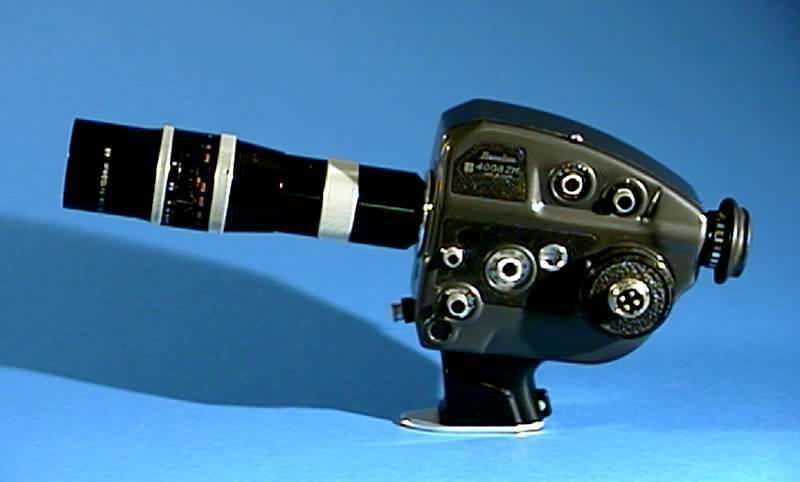 If you are a serious filmmaker, you might find one of these on Ebay. From my own camera bag is this super long Kern-Paillard Yvar 1:4 f=150mm AR Serial No. 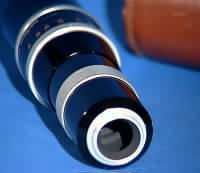 430279 C mount lens. Description and Photos Below. Click on small pictures for blowups. 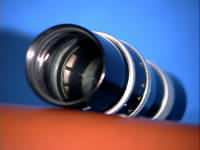 Ideal for Bolex 16mm movie cameras and other camera brands that accept C mount lenses. 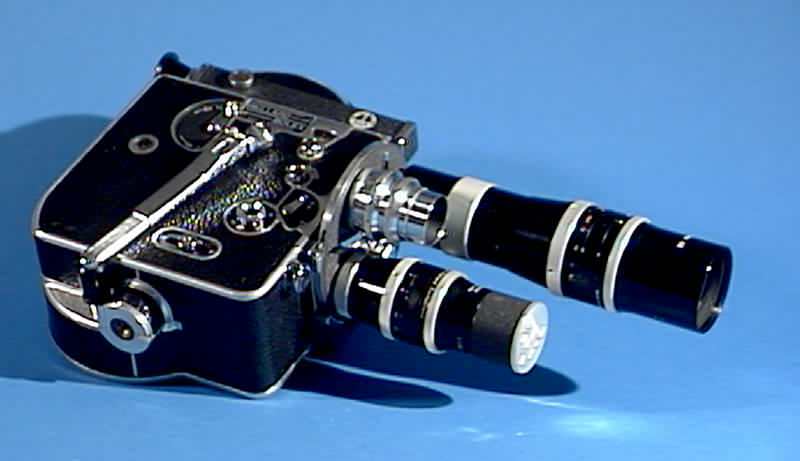 It is seen below mounted to Bolex H16 (left) and a Beaulieu 4008ZM Super 8 (right). 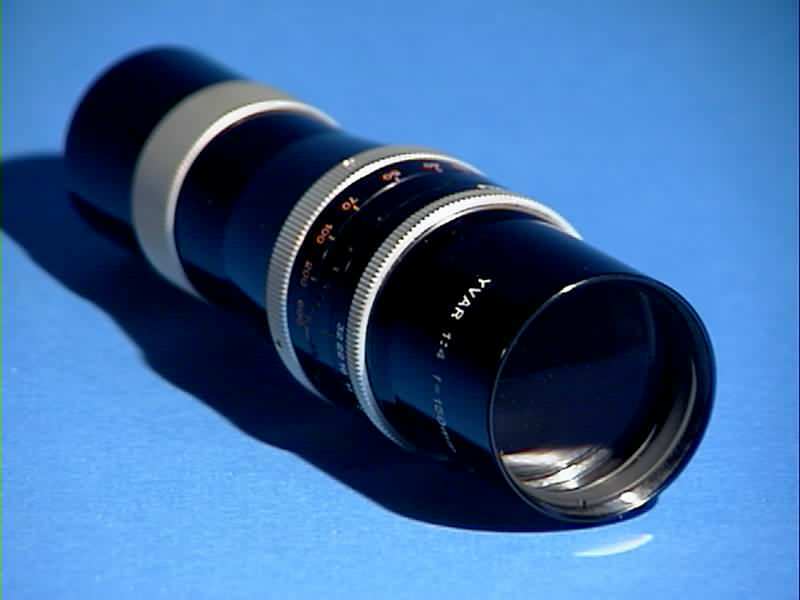 ADVANTAGES: When used on my Super 8 Beaulieu 4008ZM, (above right) where a 12mm lens is often considered standard, this Kern-Palillard lens effectively doubles its 150mm length, appearing in Super 8 as a 300mm telephoto does on a 16mm camera. In this application, it becomes a radical lens for capturing distant subjects…great for birds and animals, or close up surveillance purposes. When shooting the full moon, the moon's diameter appeared larger than 1/3 of the viewfinder in total height. 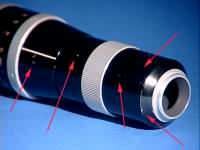 It also creates a wonderful compressed distance look. I once photographed a long boulevard with many streetlights and signals that went on for miles. This street appeared to be crunched into a few short blocks…an amazing look! 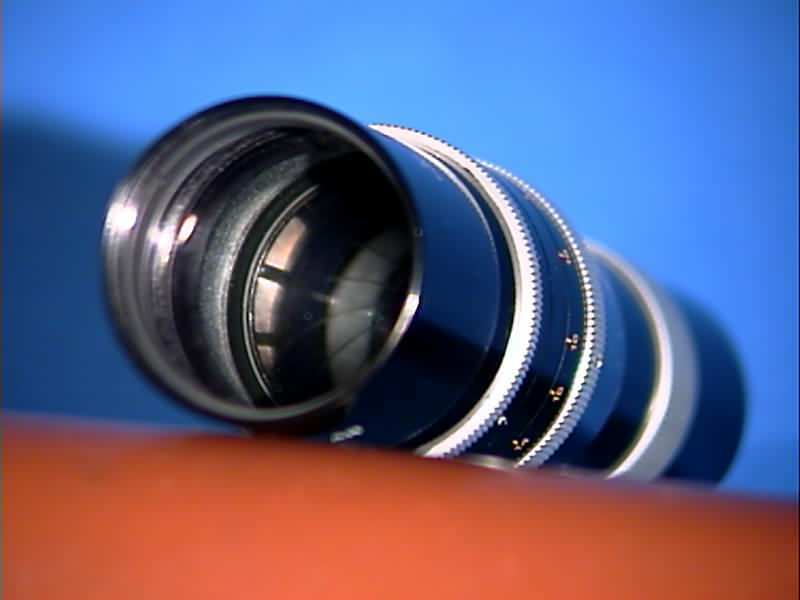 DEPTH OF FIELD SCALE: The lens has a wonderful type of depth-of-field scale. Reflective dots appear to light up as the f stop is changed. This scale is somewhat visable in the photo above on the extreme right, if you click to see its enlargement. This lens with its leather case and strap (above). 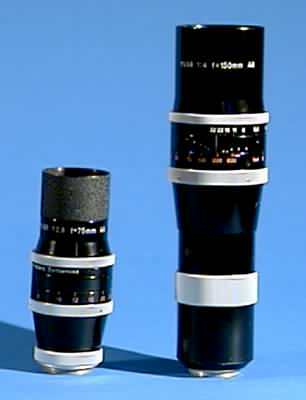 A smaller 75mm lens, with its 20+mm shade extension, is shown (above left) for size comparision. All photos © 2001, 2002 by R. D. Nelson. All rights reserved.